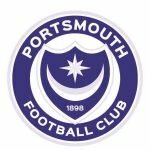 Luke McGee, after barely a week out of the team, following the loan arrival of Stephen Henderson from Nottingham Forest, returned to the Pompey starting XI at MK Dons on Saturday. Obviously Henderson’s season-ending injury, sustained on his debut against Doncaster, saw the previously ever present McGee back in Kenny Jackett’s side at the Stadium MK, which saw the former Tottenham goalkeeper produce the goods in the 2-1 win. Jackett had said he hoped he had ‘a point to prove’ – he didn’t, but he did. Did McGee actually have a point to prove? Erm, no as he had been producing form suggesting he was a more than capable no.1 at Fratton Park, admittedly I can still see the logic behind Jackett’s thinking, even if another keeper wasn’t a priority by any means. As said the ex-Spurs man had nothing to prove, his performance in the weekend win again justified his signing in the first place – it also saw him in the Football League Team of the Week – as McGee looks as if he’ll grow into a very capable keeper, which, all being well, could see him regarded as one of the Blues’ best in the years ahead.